Consistency required on the branding here. The shop display in the picture does not match the new format fuelling confusion in any who might notice. 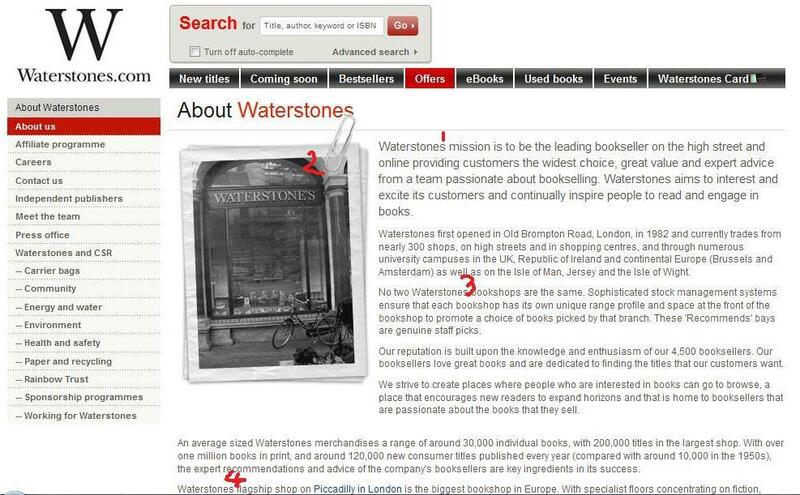 Pedantry would lead to: Waterstones’s flagship shop… but The Waterstones flagship shop on… carries an easier ring to it. 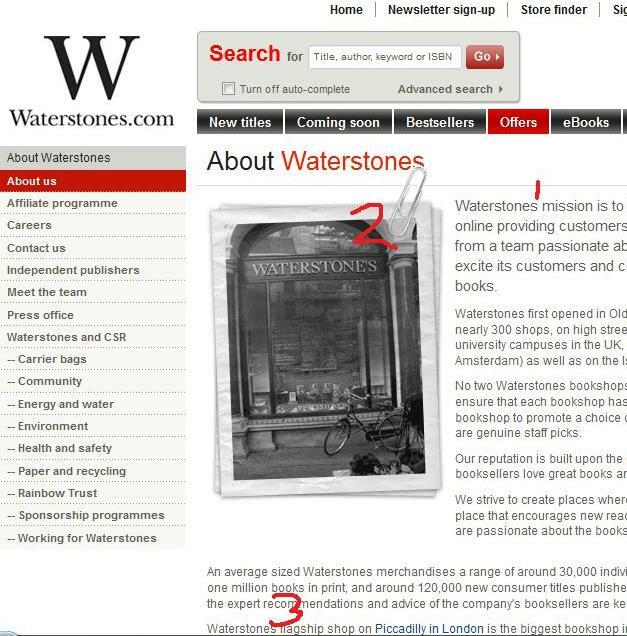 Surely the obvious solution would have been to change the name to ‘Waterstone’ with no ‘s’ anywhere. One option, yes. I’d have saved money and not changed a thing.